Mikhail Shalamov graduated from university in 2008 with a degree in Computer Science. He then worked in the retail business before turning to poker full time. He caught the poker bug after learning 5-Card Draw and playing against his friends for low stakes. When a friend returned home from an student exchange trip to the US, he taught the group the rules of No Limit Hold’em, and it wasn’t long before Mikhail realized he’d found his new game of choice. He earned a $50 bankroll via a poker strategy site, and hasn’t had to deposit again since. Although mainly a cash game player, Mikhail has some impressive tournament results both online and live. He’s cashed several times at the World Series, including a 210th place finish in the 2010 Main Event for $48,847, and a $24,773 cash in a No Limit Hold’em event in 2011. He also played the Monte Carlo Grand Final of the European Poker Tour (EPT) Season 6 and finished in the money, busting in 77th for $33,282. He’s made it to the highest status in the PokerStars VIP Club, and made the headlines in November 2009 when he completed a personal challenge of playing 40,000 hands in one day. He ended up playing a total of 40,088 hands in less than 19 hours - a new record at the time. Although the record has been broken since, it’s a testament to Mikhail’s dedication to the game, and it’s this that’s helped make him a legend on the local scene in Russia. Mikhail has had a wide range of hobbies over the years, including writing music, skateboarding and working out, and he was also a semi-professional photographer for a while. He also loves snowboarding, with his home in the Ural Mountains providing the perfect conditions throughout the year. Most of his time however is now dedicated to taking care of his son. 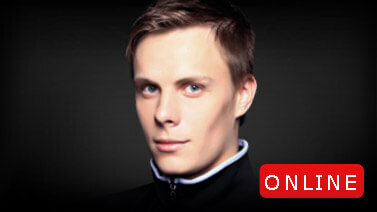 Mikhail Shalamov is a member of Team Online, and you can find him playing under the screen name ‘innerpsy’. Follow Mikhail Shalamov by reading the innerpsy blog.